LIDL can be found in a convenient location on Lower Street, approximately a 0.20 mile drive south-west from the centre of Newcastle Under Lyme (close to St. Mary's Catholic Primary School and Roebuck Shopping Centre). The store primarily provides service to patrons from the areas of Keele, Hartshill, Silverdale, Clayton, Knutton, Basford, Newcastle-Under-Lyme Town Centre and Etruria. Doors are open today (Friday) from 8:00 am to 10:00 pm, for those who would like to swing by. Please review the specifics on this page for LIDL Newcastle Under Lyme, Lower Street, including the hours of business, store address info and direct number. LIDL is ideally positioned not far from the roundabout of Knutton Lane, Lower Street and Ryecroft, in Newcastle Under Lyme, Staffordshire. Just a 3 minute drive time from Silverdale Road or London Road; a 5 minute drive from Brampton Road, Etruria Road and Keele Road; or a 6 minute trip from Etruria Junction of Queensway. You can frequently catch the buses to Morrison's/Lower Street, Bailey Street and Newcastle-under-Lyme Bus Station. The following lines stop close by: 2, 4, 9, 17, 22, 25, 33, 35, 37, 72, 73, 74, 79, 85, 94, 97, 98, 99, 101, 164, 2A, 4A, 85B, The Orange ONE and National Express. The train provides direct service to Stoke-on-Trent Station (2.21 mi away). Along the lines: CrossCountry, East Midlands Trains, London Midland, Northern, Virgin Trains and Arriva Trains Wales. If traveling by foot you will find The Square Shopping Arcade, Roebuck Shopping Centre, Newcastle-under-Lyme Bus Station, Blackfriars School, Newcastle-under-Lyme College and Royal Stoke University Hospital. LIDL runs 1 existing branch in Newcastle Under Lyme, Staffordshire. 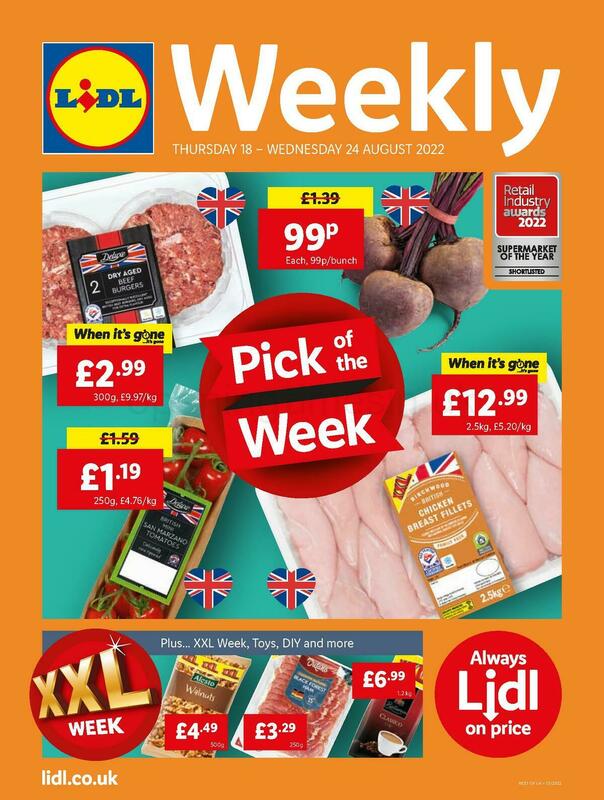 The index of all LIDL branches near Newcastle Under Lyme can be found here. Please take into account that legal holidays may bring about alterations to the established hours of operation for LIDL in Newcastle Under Lyme, Lower Street. For the duration of 2019 these changes involve Xmas Day, New Year's, Easter Sunday or Black Friday. For verified details about the seasonal business hours for LIDL Newcastle Under Lyme, Lower Street, go to the official website or phone the direct service line at 0800 977 7766. It is Opening Times in the UK's purpose to supply you with the most accurate information as possible. If you found any discrepancies or mistakes in the address or working times for LIDL in Newcastle Under Lyme, Lower Street, please let us know by using the report a problem form. Please express your thoughts about LIDL by posting your review in the form provided below. You may also rate the location by using the star ranking system.